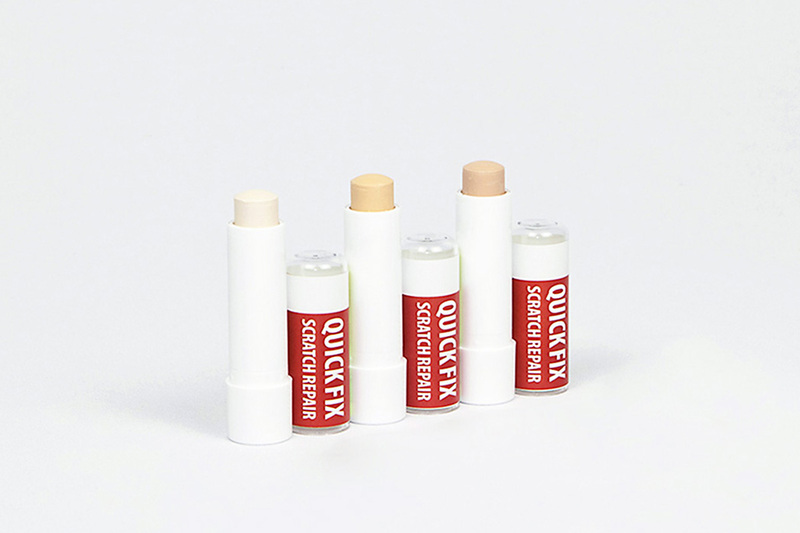 Simple, quick and clean: The new Quick Fix Scratch Repair is an easy and quick application to repair minor scratches and abrasions. The wax in the rotating case impresses with its high opacity and can be sealed easily: Filling and coloring in one easy step, and fingers stay clean! Just test the new Quick Fix Scratch Repair yourself. For indoor use only. Available in five color sets. Tip: if you want to protect the repaired area from dust and dirt - seal with the Clear Lacquer Brush Pen or AQUA Claer Lacquer Brush Pen. 1) Preparation: The area to be repaired must be free from dust and grease. 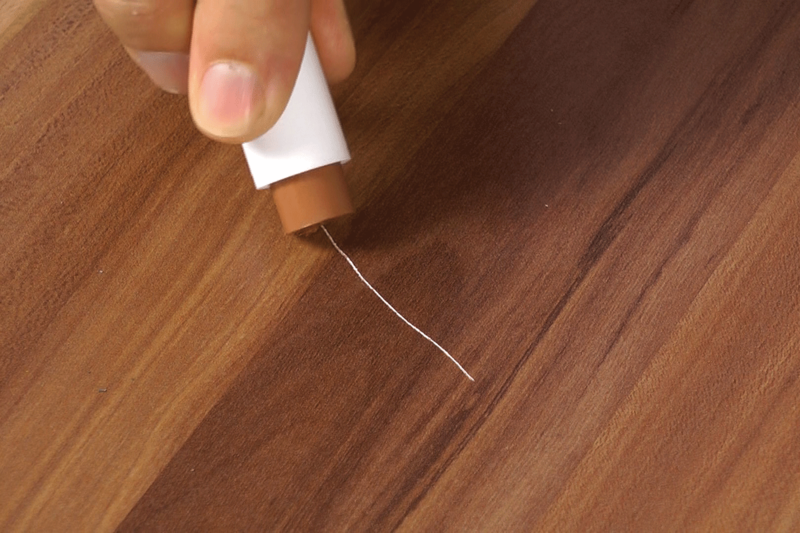 Remove any loose particles with the edge of the Mini-Applicator. 2) ​Filling: Choose the colour that best matches the surface and rub in wax crosswise to the scratch. With abrasions on the edge, rub in wax alongside the edge. 3) Levelling: Use the edge of the Mini-Applicator to spread the applied wax with circular motions using light pressure. 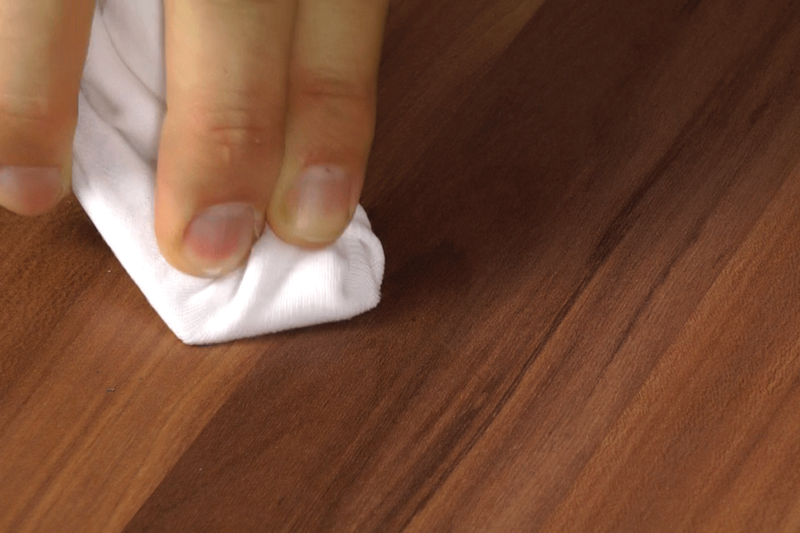 With damage on edges, remove wax residue from the surrounding area by just wiping over gently with the cotton cloth.. 4) Color Adjustment: Use a darker shade of filler to imitate the grain pattern,if necessary.Then again, level applied wax with the Mini-Applicator.. 5) Degreasing: Stretch a cotton cloth tight over the Mini-Applicator and remove wax residue from the surrounding area using light pressure. Then, gently wipe over the repaired area and its surroundings with the cotton cloth. 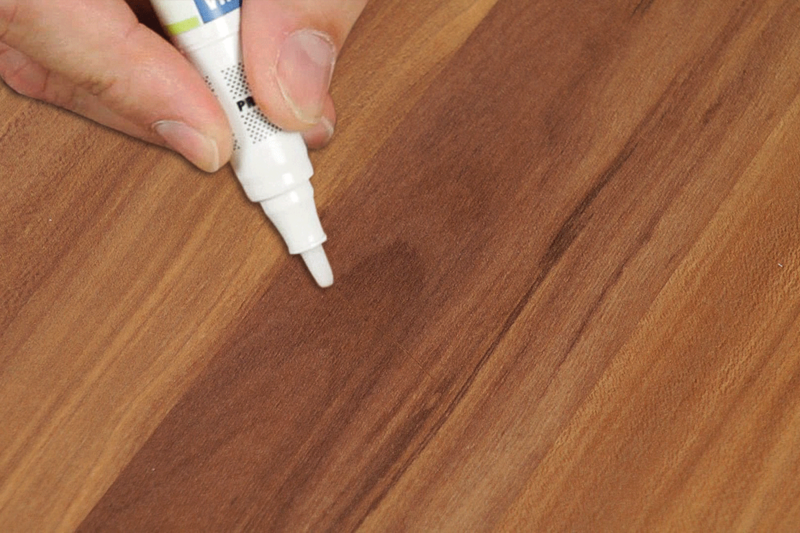 Note: To protect the repaired area, apply a sealing with the Brush Pen Clear Lacquer (or AQUA Brush Pen Clear Lacquer). 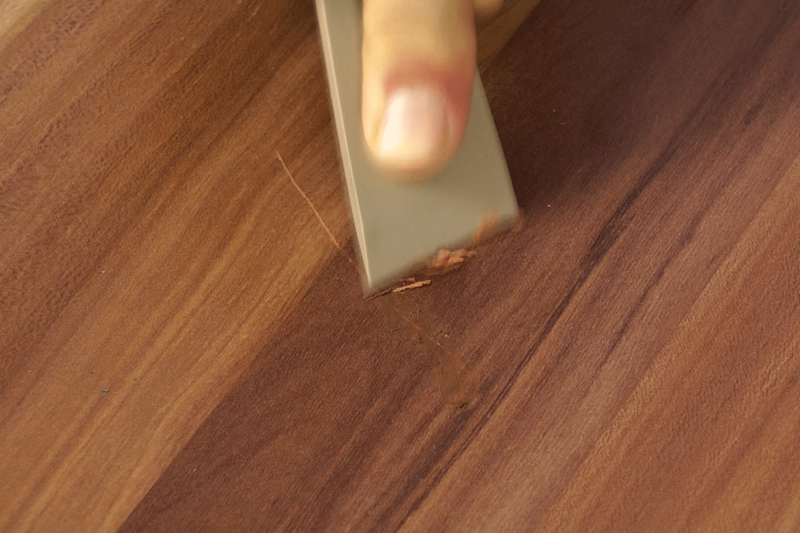 Apply the lacquer evenly in one direction to the repaired area.